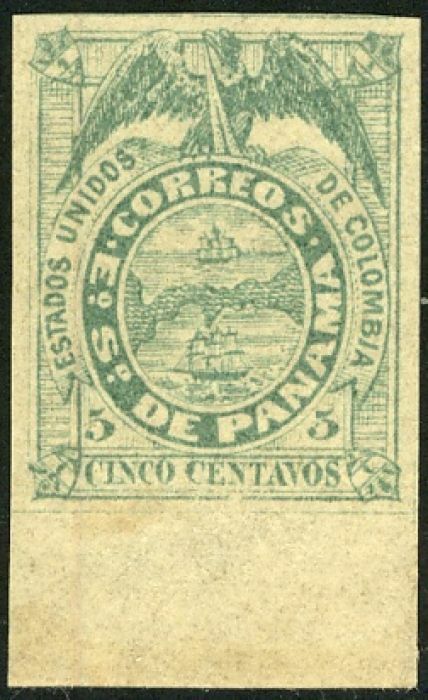 Sovereign State of Panama under Columbian Dominion. † The Scott catalog states that Panamanian archives show that #5 to #7 were printed before #1 to #4. #1 to #4 are known unofficially rouletted. 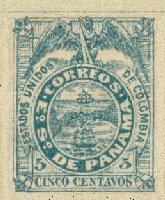 § Y&T only distinguishes paper varieties on the 50c, papier moyen (medium, Y&T4) and papier mince (thin, Y&T4a).